The official review of the record-breaking 2009 event has topped the sports chart of leading online store Amazon, beating competition from the Complete Rocky collection, Manchester United Champions League Final Review and the latest instalment of the WWE Wrestlemania phenomenon. This year, for the first time ever, the TT review was released on the High Definition Blu-ray format alongside the standard DVD. 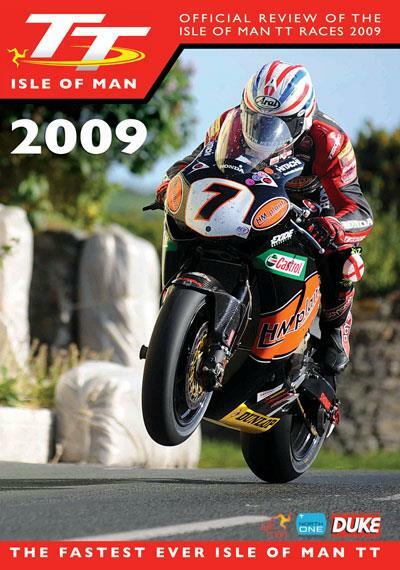 Making use of HD footage captured by North One Television, the Blu-ray disc offers unrivalled high quality viewing and astounding sound – it really brings home the skill and speed of racing on the Mountain Circuit, as well as the exceptional beauty of the Isle of Man. The TT on Blu-ray has attracted critical acclaim, with Motorcycle News describing it as the ‘best ever TT coverage’ and even leading car racing magazine Autosport saying the Blu-ray review is ‘astounding’ and ‘the perfect excuse to get into Blu-ray’. It has also been enjoying great sales, steadily climbing the charts of leading online shops. On Monday (September 21) the TT took the top spot in amazon.co.uk’s Blu-ray sports chart. Duke Managing Director Peter Duke said “The TT review has always been one of our best-selling titles and at the heart of our business, so it was the natural choice for Duke’s first ever Blu-ray release. “The release on Blu-ray required a significant investment and with the market still relatively small, compared with DVD sales, it was by no means certain to be a commercial success. “However, we were confident the release of the 2009 TT review on Blu-ray was worth doing. “We knew it would bring the event and the Island to a new audience, and allow fans to experience the event like never before – the slow motion sequences in High Definition are simply breathtaking, showing every bend and flex of the machines. In addition to hitting number one with Amazon, the TT on Blu-ray has been flying high with other top online stores - it is still in the top 10 of Blu-ray sport titles at hmv.co.uk. Meanwhile, Duke has confirmed this week that the Blu-ray TT Review will also be on sale in the United States of America.